Formed in Tonbridge, Kent from the ashes of 'The Good Thing Brigade', Jason Crest were signed to Philips in the latter part of 1967 after being discovered by former Four Pennies bassist Fritz Fryer, who got them a recording contract ahead of EMI. 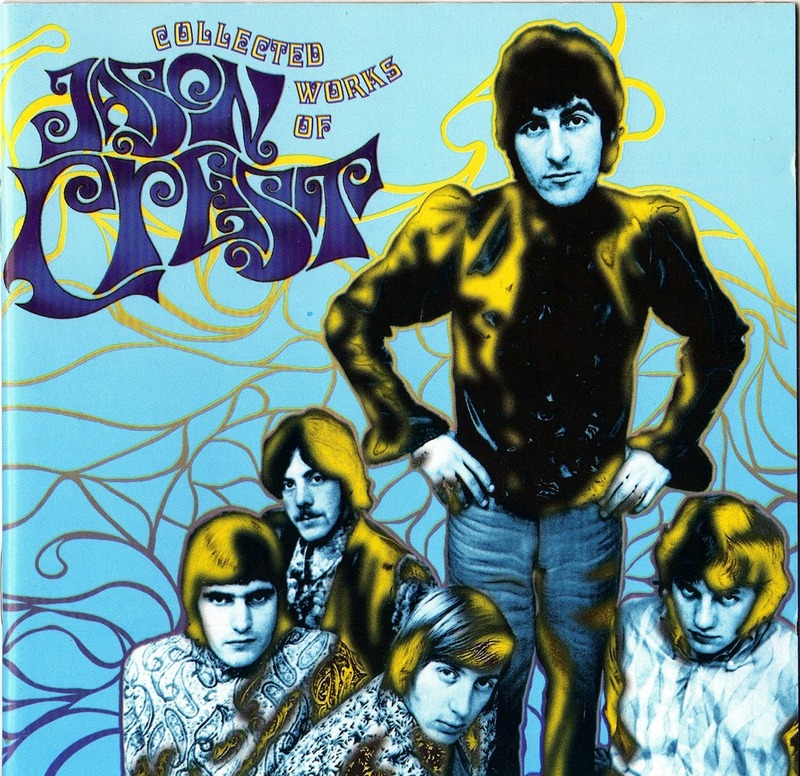 On signing their name seemed a little inapproiate so this was duly changed with a slight amendment from one of the groups tracks, 'The Collected Works of Justin Crest'. 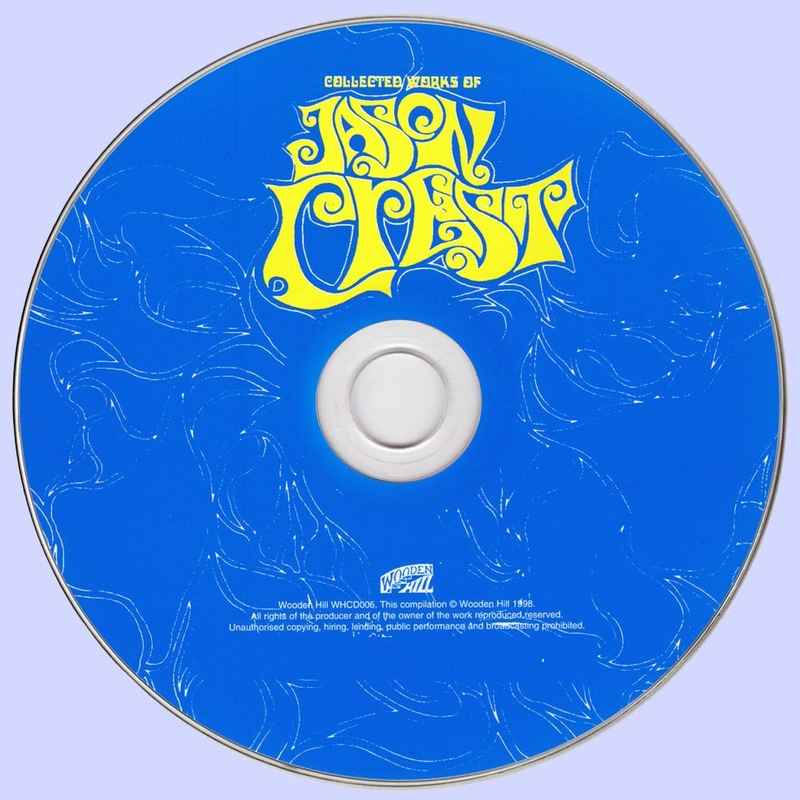 Within weeks from being spotted, the newly named Jason Crest were in the studio recording their first single, 'Turquoise Tandem Cycle', a wonderful debut dubbed by Philips on advertisments as "the first new group of 1968" this over the years, has often linked up with Procol Harum and Tomorrow especially with the former for it's distinctive organ sound, but despite a fair measure of airplay the single failed to click, it's a shame they never picked the flip 'Good Life', as this was the strongest of the two. The same fate happened with the second single 'Juliano The Bull' , nice enough but banned by radio one after some bright spark suggested it was "promoting blood sports", once again though the flip, this time, 'Two By The Sea' was the strongest of the two. After two flopped singles, Philips pulled the plug on the groups original songs and opted for a cover version, the song in question was The Move's '(Here We Go Round) - The Lemon Tree', despite rumours though Roy Wood wasn't on the production team for this single, sadly once again, this also ended in the same fate despite considerable radio play. Bassist Ron Fowler quit around this time, working in a band and a full time job time didn't mix especially when the Crest were off to Germany and so he was replaced by John Selley. After three flops, Philips were desperate for a hit, Fryer got the band to record one of his numbers and a fourth single, the more commercial 'Waterloo Road' was recorded and promptly bombed, probably just as well as the single is uninteresting and uncompiled. With one single left on the contract, a final single 'A Place In The Sun' was released, again this met with the same fate although rather surprisingly the strange 'Black Mass' found it's way onto the flip, surprising because Philips had earlier decided that the song was unfit for public consumption!! By now the group were breaking up, the album that was promised had all but disappeared, the lack of success had caused indifferences in the band and to top it all, not surprisingly, Philips were not in the mood for re-newing contracts, the end wasn't too far away. Fitz Fryer had new interests in The Open Mind of whom he also produced for. Terry Clarke (the original co-founder) - was to leave first joining up with a London based outfit called Orang Utan, whilst the remainding members continued with new vocalist Brian Prebble and ex-Mike Stuart Span , Leviathan guitarist Brian Bennett under the new name of High Broom. In 1971 Clark, Smallcombe and Siggery all sorted out their differences and formed Holy Mackrel.